Why is JC Younger the best industrial chiller provider? Sandy and JCY Company have worked with us for years even before we had our brewery. Sandy helped us find the right fit for us and gave us expert advice. It didn't just stop there. He made sure we were happy from beginning to end. They provided us with an excellent product all US build and we haven't had a single issue. When we've needed advice or help he always returned our phone calls in a timely matter and helped us with trouble shooting. They will have our business for as long as we are in business. After working all over the United States at industrial 20 Million+ gallon facilities all the way down 2,000case botique wineries Sandy and the crew make one hell of a unit and their service is some of the best in the industry. I have seen and worked with many of the newer and more well known chiller suppliers and have also worked with some older "antiquated" chiller equipment. The JC Younger unit we use at our facility is hands down one of best units on the market today. Its simple, its stout, the components are all the best money can buy, its made in the USA, in my opinion the unit is "overbuilt" in the best way possible. 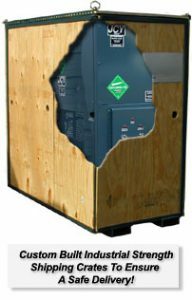 The other more well know big chiller companies will only build the condensors stateside, then slap cheap Chinese compressors/pumps/electronics on the rest of the unit.... you spend $60k+ only to be replacing compressors/pumps and electronics 6 months later. Trust me I have been the guy at 3am swapping pumps/compressors and electronics on brand new 60+ ton units during harvest with "big brand" units, have also seen "big brand" chiller units control box doors blown across parking lots because the electronics were Chinese junk and exploded or melted down. Some of the bigger guys will actually give you boxes of parts if you spend a million bucks and say "you will need these for repairs"! JCY sizes and sells you a unit built for what you need. Its done right the first time, and if you have any issues Sandy and the crew are 1 phone call away. These units are absolute tanks, they are built the good old fashioned American way, and if properly maintained should last for many many years with zero issues. JCY and Sandy are absolutely fantastic and always at the ready when we need assistance. They earned our business, and continue to, and I recommend them to anyone looking for a chiller. Purchased used chiller about two months ago, it took me some time to get it all installed and running properly. It works perfectly! It is a great addition to my brewery. Sandy is very helpful in the process, and has great knowlege in the industry. I highly recommend this company, and look foreward to working with them in the future! The JC Younger Company is top notch!! To Bob and Sandy that go above and beyond expectations. The knowledge that both bring to the industry and the support they to give to customers is remarkable. I like the fact that the job isn't done until the customer is satisfied. I first spoke with Sandy when I was looking to purchase one of his units from another brewer. He helped in any way that he could, even though he had absolutely no profit to make from the transaction. Fast forward a few months, and we ended up ditching the other brewer and dealing directly with Sandy. He truly knows his stuff and doesn't hesitate to help when needed. We couldn't be happier. The company I work for bought a JC Younger chiller used about 10 years ago. It is still going strong and has given us very few problems. Sandy has been very helpful every time I have contacted the company and has even worked with local technicians over the phone during routine maintenance and repairs. JC Younger knows chillers!